St Augustine founded the first Cathedral in about 600AD. He was sent from Rome to convert the ‘Angles’ after Pope Gregory the Great had seen some in Rome as slaves. Kent was the first Anglo-Saxon kingdom to convert to Christianity. Archbishop Alphege was captured by the Vikings and beaten to death with ox bones when he refused to be ransomed. The Cathedral was built in stone by the Normans, using creamy white Caen stone imported from France. Our stonemasons have recently started to use Caen stone again, after a period of 30 years when good quality Caen stone was not available. A similar lime stone, Lepine, from a quarry near Poitiers was used instead. Canterbury Cathedral had one of medieval Britain’s first running water supplies. Created by Prior Wibert in circa 1165, it even flushed the monks’ toilets. The Cathedral Archives contains a document known as the Accord of Winchester signed by William the Conqueror. He signed his name with a shaky cross, which leads some scholars to suspect he couldn’t read or write. Archbishop Thomas Becket was murdered in Canterbury Cathedral in 1170. Four knights sliced off the top of his skull, spilling his brains and blood on the floor in the area now known as the Martyrdom. 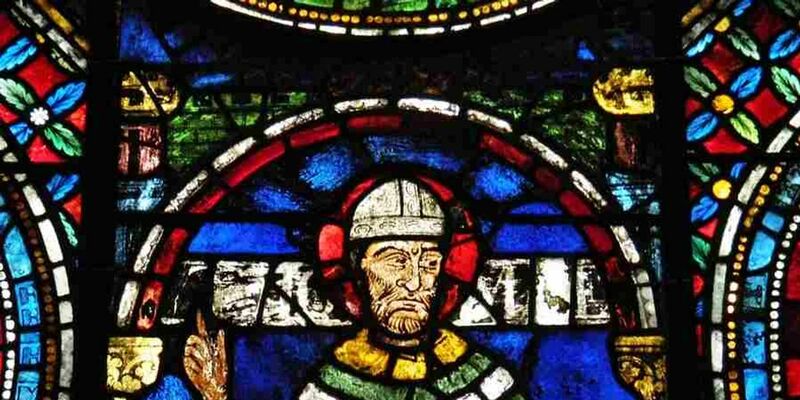 Miracles were reported soon after the murder and Thomas Becket was made a saint in 1173. Thousands of medieval pilgrims flocked to his shrine at Canterbury Cathedral, and bought pilgrim badges as souvenirs. King Henry II, held responsible by many for the murder, walked barefoot from nearby Harbledown to the Cathedral to do penance. On arrival, he was flogged by monks in front of St Thomas’s tomb. One of only four surviving copies of Magna Carta was made for Canterbury Cathedral. Archbishop Stephen Langton was instrumental in negotiations and helped draw up the document which first clause upholds the freedom of the church. This ‘burnt copy’ is now held by the British Library. The Cathedral was nearly completely destroyed in 1174 when sparks set fire to the roof and burnt down the Quire, which was rebuilt as the first Gothic building in England. More recently, the Cathedral survived WWII bombing when firewatchers threw hundreds of burning incendiary bombs off the roof. The Cathedral is still very much a living, working church with at least three services every day, starting with Matins and finishing with (mostly Choral) Evensong. Additionally, the Cathedral holds several hundred community services every year for the diocese, local schools, charities and other organizations as well as hosts concerts, recitals, exhibitions and graduations for local universities. It costs approx £18,000 per day to ensure the Cathedral is a safe as well as beautiful place to visit and worship in. The Cathedral employs some 300 staff, including 25 stonemasons, eight stained glass conservators and many more specialist conservators. Visitor income is our most important source of income, but only covers one third of annual needs.